Just who is Billy Bonkers? Well – he’s a bouncy, bubbly, bonkers boy. And wherever he goes, off-the-wall adventures always seem to follow. He bounces so hard on his trampoline that he bounces up into space. He eats so much porridge his stomach puffs up and he floats into the garden tree (and gets stuck… until he burps). He takes a flight on a deflating lilo, and biffs an angry shark right on the nose. 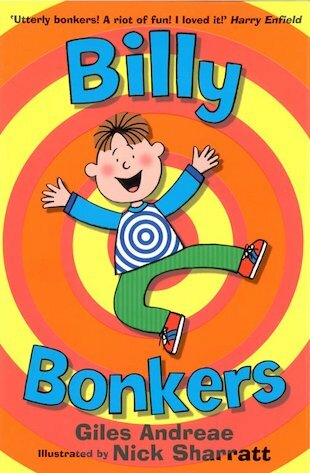 Along with his wacky dad, brainy sister and down-to-earth mum, Billy’s life is never boring – it’s bonkers!